First, I want to say a special thank you. Thank you to all of those, who after reading my blog post titled: Will You Pray For My Family? , prayed! Thank you, thank you, thank you! I have felt your prayers and your love. I cannot thank you enough for the abundance of encouraging comments and emails. I am so sorry if I have not answered your email. I am not sure that I will EVER get to answering them all. I had over 1,500 comments and emails and Facebook messages combined – but I read everyone of your emails and I appreciate it! Thank you to those who sent me snail mail – some of your Good Morning Girls groups sent me packages and letters – thank you – that was so thoughtful! Thank you also to those who sent flowers, gifts (some came internationally!) and I even got a meal in the mail from Send Them a Meal! Wow! You have shown my children the love of the family of Christ and for that – I can’t thank you enough. I don’t have that answer. Right now – I wake up and I do the work that God has put in front of me each day. I’m putting one foot in front of the other and trusting God to guide me. The word ambition means: a strong desire to do or to achieve something, typically requiring determination and hard work. God says, “make it your ambition” or in other words – your goal, desire and plan — to lead a quiet life. But how can being a blogger and leading a quiet life coincide? This the tension I am feeling right now. I am trying to answer the question – how do I live out the great commission and lead a quiet life? Isn’t that a dichotomy? Even if you are not a blogger – if you use social media or do a lot of real life ministry – then you probably feel this tension as well. I am a social butterfly on-line and off-line. God made me this way for His purposes but I am feeling a heavy need to pray more, read more, journal more, and process more. In order to make room for these things – I have to be quiet more but being quiet is NOT my forte. So I will have to ambitiously and diligently work hard at leading a quiet life. I pray that what blossoms from my quiet spaces is a depth in my walk with God and in my writing. 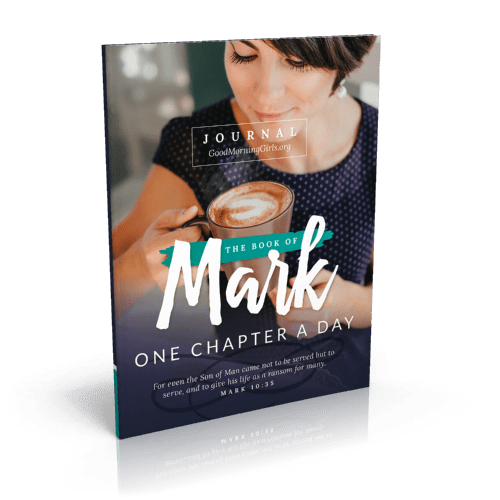 So – as I put one foot in front of the other – I’m excited to return to the journey of reading through the Bible – one chapter a day – cover to cover. God gave us 66 books in the Bible and I believe he wants us to read everyone of them! 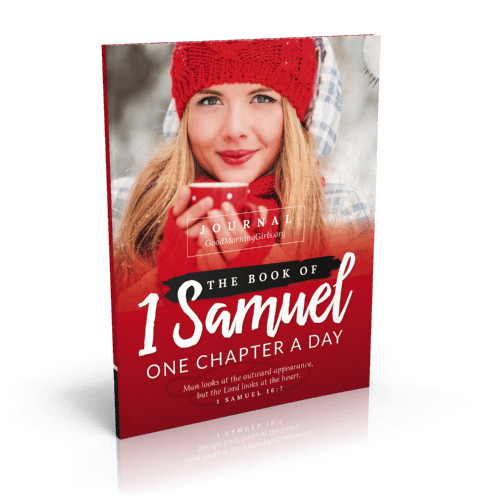 It’s time to announce the new Winter 2017 study — 1 Samuel! 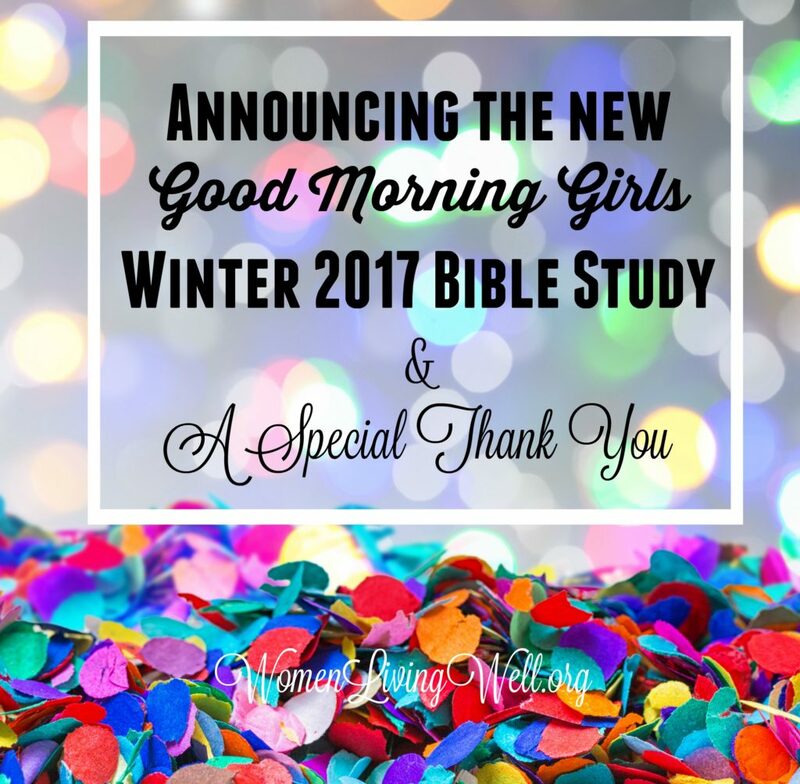 Our study begins on Monday, January 9th and our GMG Regrouping and the re-opening of our Facebook Leadership Group will start on January 1st. I’ll post more details about all of that after Christmas. This is an awesome book to read. 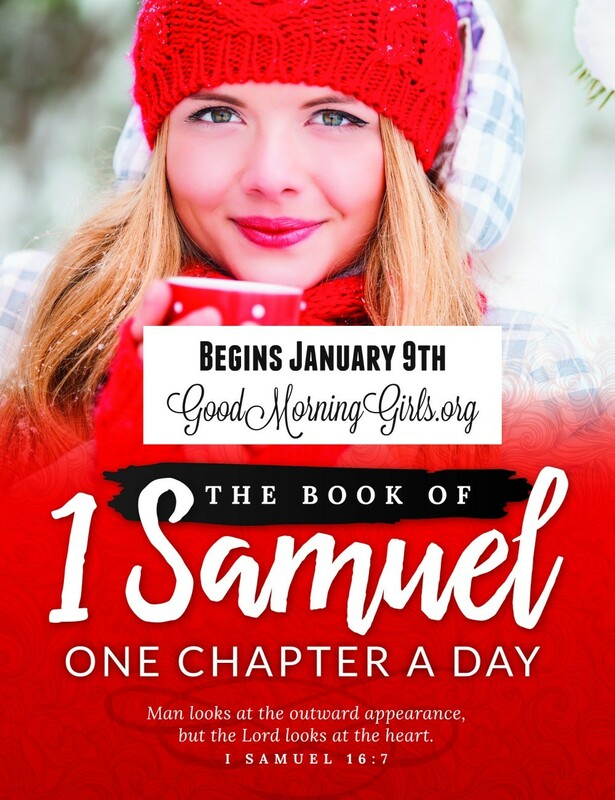 I could not think of a better way to start out the new year than in 1 Samuel. One of the most famous stories from the Bible, is found right here in 1 Samuel. David, the shepherd boy, trusted in God and defeated the giant Philistine named Goliath. May we remember when we are facing our giants – that no human weapon can stand against our Almighty God that protects us. So I hope you will join me on this journey through 1 Samuel. From chapter 1 to chapter 31 – this book is action packed. We will weave our way through the history of Israel’s first King -Saul and the choosing of the second King -David. We will see the power of our God unleashed through answers to prayer, the slinging of a stone, and the rise and fall of Israel’s Kings. It’s going to be so good – you don’t want to miss this! 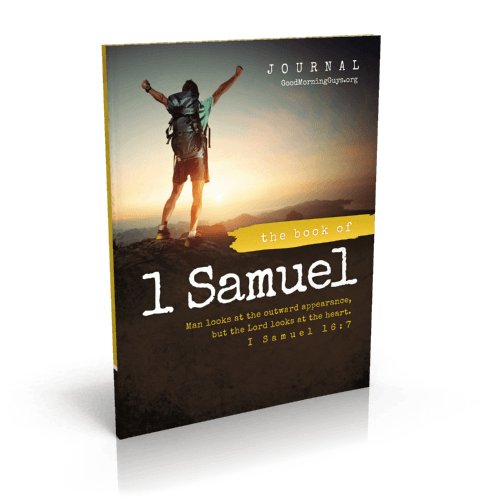 The 1 Samuel Journal is available now exclusively on Amazon! for your sons ages 10 and up. Both journals have an identical interior and guys can follow my nephew, Johnathan, over at GoodMorningGuys.org as he blogs through the Bible as well! If you are new, welcome to Good Morning Girls! We are Reading Through the Bible– one chapter a day – five days a week. There are no sign-ups or enrollments. 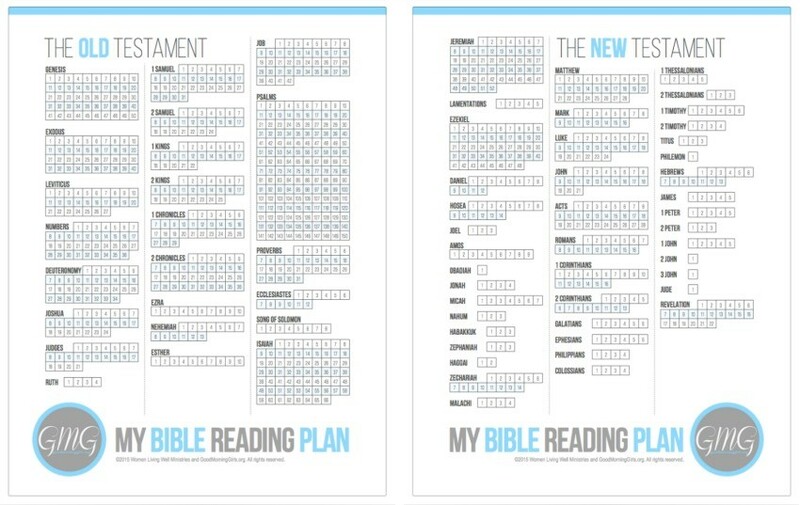 We are reading the books switching back and forth between the New Testament and the Old Testament. Genesis, Exodus, Leviticus, Numbers, Deuteronomy, Joshua, Judges, Esther, Job, Proverbs, Song of Solomon, Ecclesiastes, Matthew, Mark, Acts, 1 & 2 Peter, 1,2, & 3 John and Jude! You can find all of the links to past studies on the GMG Resources Page. On Fridays, I’ll post a devotional here on the blog and invite you to fellowship in the comments. On Mondays, Tuesdays, Wednesdays, Thursdays and Fridays, I’ll be posting both in the morning and evening, encouragement for your study in the book of Judges. Follow me on Instagram here. Here’s what it looks like in my Bible (and some of yours). You can find more pictures like this out on my Instagram page. Still not sure how this all works? Here is a video explaining it further. Check out our GMG International Page ! Spread the Word! Share this post with your friends! And look for the free resources and more details about our winter study coming after Christmas. Have a very Merry Christmas and thanks again for all of your prayer support. I thank the Lord for you all and I love you. So wonderful to hear from you. I’ll be looking forward to joining you in this study. Merry Christmas and a Happy New Year! I am looking forward to the new year with you all too! You and your family are still in my prayers. Hoping 2017 is a better year for all of us. So excited and know you have lots of prayers and love coming your way. Merry Christmas and a Happy New Year 🙂 God’s blessings to you this coming year. I’m happy to hear from you. I’ve prayed for you and I’ll continue to do so. I’m so thankful how God is working through you. I’m looking forward to this next study! So glad to hear from you. I started this journey of reading through the Bible with you and am looking forward to continuing in January. You are an encouragement for me and the way I wish to live my life. I wish you and your beautiful family a very Merry Christmas and a Happy New Year. I am so happy to hear from you! Though you live an ocean away I really consider you my elder friend and sister in Christ. I thank the Lord He has lead me to you two years ago. Praying you will have a wonderful Christmas and bountiful New Year! It is so kind of you to write to us so close to Christmas, with all that goes along with it, and with the many challenges you have been facing. I know what it is to be a single mom, and my girls and I faced Christmas three months after the separation from their dad. But, even though I wasn’t practicing my faith at the time, God touched one of my sister’s hearts and we were invited to stay with her family for a few days, beginning Christmas eve afternoon. They went out of their way to make everything special for us. So, I hope with many, many prayers, you and your children will have a Blessed Christmas, and many good things to come in 2017. A warm welcome back, you’ve been missed! You are such a blessing! Good to see you back, friend and sister. Looking forward to the study. God bless you 😇and your family, Courtney. Thank you for your commitment to your calling. You are a blessing to the body of Christ. You are loved with an everlasting love. Merry Christmas and a Happy New Year to you and your family. Welcome Back!!! We appreciate you…. So good to hear your “voice” again. Thank you for continuing to lead us through the word of God. It has been life changing for me. May the Lord bless you and keep you and Merry Christmas! Thank You so much for being a leader in adversity-a true living witness to Faith! You are an inspiration now even more than before for my daughters and I, Courtney! As the wife of a mean and estranged man, you help me seek the Lord in a way that I was ashamed to reach out to fellow Christians before and admit my marriage was not as I planned and hoped for (not of my own fault or for lack of prayer!). Seeing how you valiantly carry on in Christ helps me continue to reach out in my smallness for God’s Almighty Greatness and Grace. Praying for you and the children this Christmas! Blessings in the New Year! Proud of you! I’m thankful you have felt so loved by the 1,000’s you have touched! You are on my list to send a thank you to! Thank you so much for the card and gift! You are so thoughtful and encouraging. Welcome back. Our group will continue to pray God’s leading for your life. May you the children and your support system have a very merry Christmas as you walk it out with the King our daddy. New Year, new beginnings. I am so happy to get started on this study! Thank you so much for all of your hard work, we really appreciate it! It is so funny that you have had this verse on you heart, it is the theme for my blog. For me this doesn’t mean that I need to be quiet, as in not talking/blogging. But to lead a life without unnecessary drama. We all have a little drama, but some people thrive on it. I feel that I should lead a simple life, that shows others who Jesus is. That I get quiet with Him each day, and let Him lead me and my day. That I work hard each day doing whatever it is that He leads me to do. 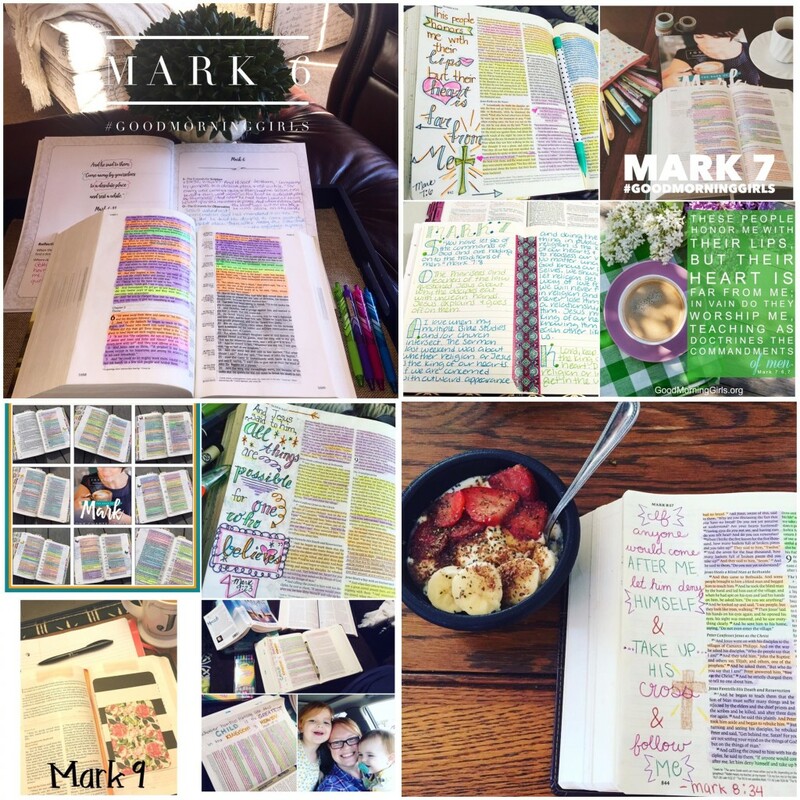 You blog reaches so many for Christ! You are doing God’s work. As long as you feel His leading to continue, then keep working with your hands and like Joseph, God wI’ll be with you! Yes! Just avoid the added drama! I like that. I, too, am not quiet by nature but do need my quiet time. Sometimes I refer to myself as an over-sharer but that sounds critical. I do believe that God wants us to share and not hide in the darkness. Sharing in an honest, humble way. Not for the sake of stirring up drama. Blogging is a great avenue for it. You are so right! I believe that He wants us to share as well! How else do we learn fom each other? I am loving blogging and have wanted to be able to share my faith for awhile. I am so thank full to be in a place where I can work on it a little. It has been on my heart for some time. Courtney definitely has a gift in this area! You have been such an inspiration to me through the years and to so many other women. God is using your life in big ways. He is with you and will never forsake you! May His blessings be showered upon you during this difficult time! I will place you all on my prayer list! I, too, can relate to your “tension” of lead-a-quiet-life-mind-your-own-business vs. go-make-disciples. Is it possible we are to do both? How does that look fleshed out? Like you, I am an extrovert and have contemplated that tension esp. in relation to the verse of “a wife of gentle and quiet spirit” in 1 Peter. The more I grow in my relationship with the Lord, I recognize that there are “tensions” in our faith that don’t seem to make sense, but we have to be OK with trusting that God has this figured out! Isn’t this what we ALL should be doing?!?! Once again, your honesty has struck a chord with your readers! Thank you! In reading this post, my mind goes back to the “opportunity” that you had to star in your own reality TV show! Remember that? Can you imagine if you would have gone through with that??? Oy! God’s mercy and protection, I do believe. God uses a willing heart. You have a willing heart. God will continue to use you. Even if it looks different…quieter…than it did! So excited to be starting back with you in January. I enjoy those “good morning” times of study and hearing “good night” too. Praying you and your family have a Merry Christmas. Will continue to pray too. I really enjoyed getting to meet you in person, it was so much fun. I am so glad that you are back. I’ve been intentionally praying for you each day since you sent out your “will you pray for us.” As you know the Lord is with you; He will never leave you and forsake you. I’m sure you are now leaning on Him and depending on Him more and more everyday. I’m glad you’re coming back. I will continue to pray for you and your family. Merry Christmas! May God continue to wrap His love around you and your family. Looking forward to the New Year reading Samuel together! I am so glad hear from you today. Our GMG’s has been working through Romans (1/2 chapter per day). I have used your workbook. So even though you were quiet, we benefitted from your ministry. God can work in so many ways. And your work is so valuable. I look forward to starting 1 Samuel in Jan. Praying for you and your family. P.S. I say this with a spirit of grace … my editing brain noticed that under the Instagram heading you referred to Judges instead of 1 Sam. I totally get it. Just don’t want to confuse any newbies. So wonderful to see your e-mail today–I, and many, have missed you and the Bible Studies provided by you and your group. Know that you are in our prayers and hope you and your family have a Merry Christmas and the comfort of the Holy Spirit every day! Yeah! I’m so excited to start 1 Samuel and to have your guidance back in my morning bible study. Thank you for continuing our reading through the Bible study. I have followed you from the beginning of this study and I’m very grateful for what you do. Have a very merry Christmas and a happy new year! I love your momma S quote! I is it inspiring ? May GOD bless you and your family as you trust HIM to show you what a quiet life means. We all have our opinions of what it can mean but, only GOD can show you what it means for you and your family. Obviously, the LORD has given you wisdom to help others and the adversary is trying to stop you. My friend, Patty, says that faith means Forsaking All I Trust Him. Oh Courtney, you have been missed. In more ways than I can say. You and your family have been in my prayers. Looking forward to the New Year. Excited. I am so excited to hear you are being encouraged. I will continue to pray for you, your family and all those who participate in Good Morning Girls. I look forward to the January study. God bless. I was so happy to see your email tonight.!!! I’m also so excited to start the study again in January! I am so grateful for you and your ministry. I’ll keep praying for you and your family…Hoping you continue to lean on our Lord Jesus and have a blessed Christmas and New Year! You have been such a blessing to me Courtney. I am more than happy to pray for you! Merry Christmas to you and your family and I look forward to a wonderful 2017. I’m ready for 2016 to be over as Im sure you are too! I’m glad to see you back here! Prayers that you’ll feel secure in God’s leading, step by step! Thank you for your work and dedication. Your tenacity in the Lord is such an example and I’m sure God will create the bridge between quietness and social butterfly-ness that He knows you need. Much love from W. NY! I actually live near you, and would love to get together with you for a cup of tea sometime in the new year! Please send me an email and I will let you know more. I am praying for you and your family! Way to go girl!!! Staying with God and His Word is the best way to overcome the storms of life!!! Welcome back, and I’m looking forward to 2017 with you and all of the Women Living Well team!! Wishing you a very Merry Christmas!🎄 Thank you for your blog and Bible study it is a great blessing to me . I am looking forward to the 1Samuel bible study. Praying for you and your family. That is one of my favorite verses. I am a quiet person by nature, but I have always interpreted this verse to me to be quiet in debates, quarrels, gossip, and other meaningless types of conversations. I think God created many personalities, and some people are naturally extroverted, as some are naturally introverted. I don’t think you have to change your personality to live out this verse, just purposely decide what you will and will not allow yourself to talk about with others. If it’s quarreling, gossip, or disrespectful…its best tone quiet in these things, but you can still use your voice and use it boldly in other areas. So happy to see you back online!!! I was beginning to worry about you, but completely understand taking time out for yourself. God is good ALL THE TIME!!! Hope you and your family have a very Merry Christmas, and Happy New Year!!! Excited about starting 1 Samuel in January. This will be my first study with Good Morning Girls!!! Will the 1 Samuel book be available for the OliveTree Bible App? No, GMG is not available on any apps. So sorry. Many prayers lifting up you and your family to the King of Kings. May you find peace and comfort in His arms as we start the new year and throughout 2017. It’s great to hear from you. I’ve been thinking of and praying for you and your family. I hope you all had a blessed Christmas! Our God is with us, Emmanuel! Hello! I have followed you for a bit on IG but am jumping in 110% with this study!! Cannot wait! Supplies ordered & I will set up a space in my bedroom for quiet morning reflection this weekend. I am also so hopeful to get into a FB study group for this – that will be so helpful since I am a newbie to this. Just wanted you to know that the lady I have worked with over the past few months is the one that lead me to you. We are both Christian but we both work night weekends at our local ER which can make it tricky to catch Sunday morning service. She knew I’d been trying to find a good bible study and we fell on you which has lead to discussions and even talks with others at the hospital. That my dear I’m not sure would’ve happened had you not blogged. I understand the need for quietness as I use to work with youth but I don’t believe it’s God telling you to quit. What you are doing, it’s good…I can see stepping back but don’t quit. Don’t give the devil that joy. Thank you for this encouragement Ashley. It means so much. I’m so glad you are joining us! 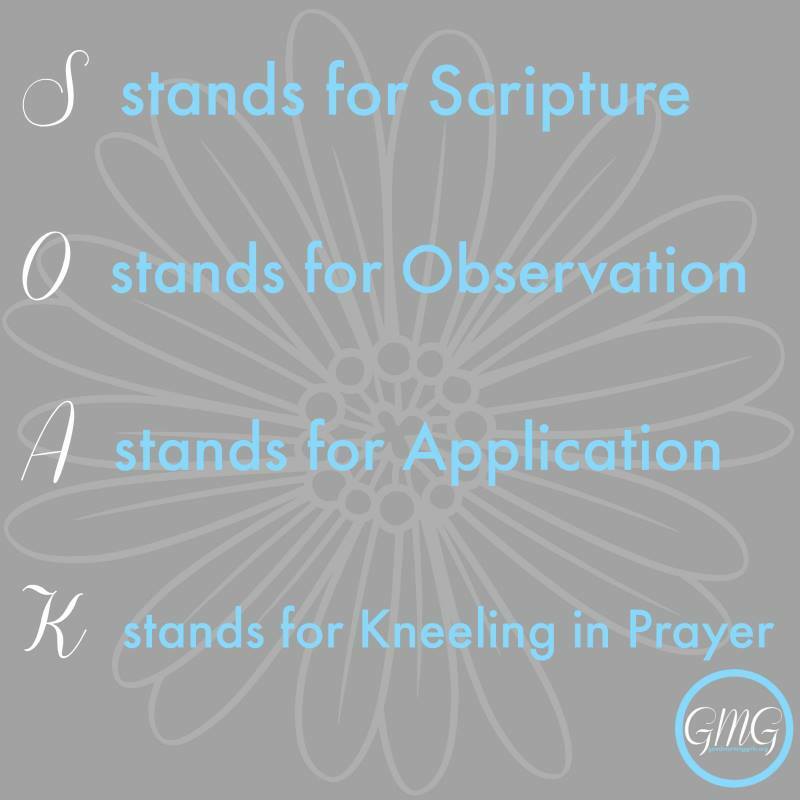 I am so excited to do this study with my online Bible study ladies. I run a FB group and we started back in September and are going to start yours for the first time this next week and I am so blessed by your work. Thanks for everything. You will continue to be in my prayers. God bless! I can’t order the journal, will there be a freebie version for us to download to work along with you?